It is the reliability that you know what to expect from this band and you are assured that the messages Hatebreed convey are true and actually invigorating to listen to. 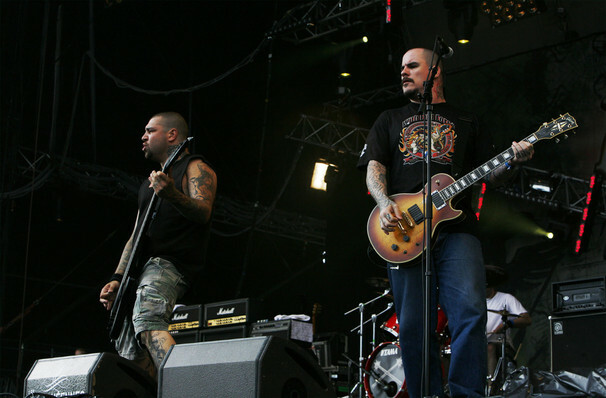 Hatebreed have played at festivals for fans worldwide and, to date, have released eight albums over 19 years. The band's latest album 'The Concrete Confessional' was released three years ago and described as "vital, ferocious heavy music" by The Guardian and a display that "the band's well of passion and anger is anywhere near empty" by Loudwire. The tour kicks off in San Diego. Seen Hatebreed? Loved it? Hated it? Sound good to you? 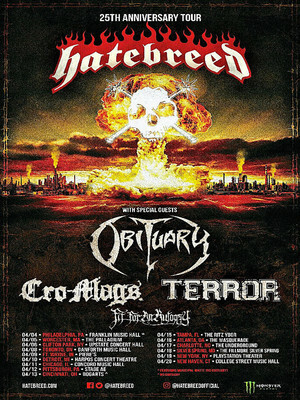 Share this page on social media and let your friends know about Hatebreed at Ogden Theater. Please note: The term Ogden Theater and/or Hatebreed as well as all associated graphics, logos, and/or other trademarks, tradenames or copyrights are the property of the Ogden Theater and/or Hatebreed and are used herein for factual descriptive purposes only. We are in no way associated with or authorized by the Ogden Theater and/or Hatebreed and neither that entity nor any of its affiliates have licensed or endorsed us to sell tickets, goods and or services in conjunction with their events.